Printable Town House 1 by ArchitectureKIT is licensed under the Creative Commons - Attribution - No Derivatives license. 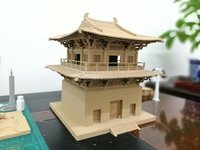 This is a high detail printable Architectural model kit that is fun to print and build. This kit is made up of interlocking components that fit seamlessly to each other. 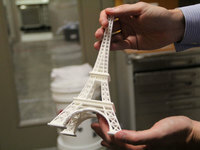 This is a fun product for, Students, Architects, Kids, Scale model makers and design enthusiasts. Each part was designed to print perfectly without the need for supports or rafts on any FDM FFF 3D Printer.. No glue is needed. 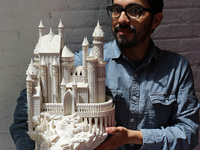 Just print and assemble!. This kit contains Walls, Floor slabs, Roofs, Windows, Doors and Balcony fittings in 8 STL flies ready to be printed and assembled. Print in different colours for a more appealing finish. We will be publishing more Building kits soon! 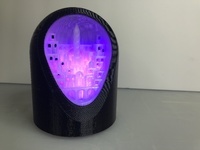 Say thanks by giving ArchitectureKIT a tip and help them continue to share amazing Things with the Thingiverse community. Say thanks and help ArchitectureKIT continue to share amazing Things with the Thingiverse community. You'll need a PayPal account to tip ArchitectureKIT. Click the button below and you will be redirected to PayPal. Once the payment is complete, you'll be brought back to Thingiverse.